Diet makes a big difference in acne treatment. Anyone who is distressed enough by their acne to see a doctor, owes it to themselves to eliminate foods that may be causing their problem for one month. If after a month, their skin is better, then they will be motivated to continue to avoid the foods that cause acne. If after a month, the acne has not improved then, food is not contributing to the acne, and the patient should return to normal diet. 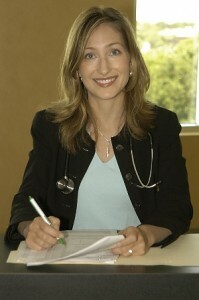 When acne is not affected by diet, we focus on hormone and bacterial treatments. The key dietary changes that can improve acne are listed below. Eliminate Milk: All dairy, which includes cheese, yogurt, milk and ice cream, make acne worse. Believe it or not, skim milk is as bad for acne as whole milk. When you are not drinking milk, you should take 1000 mg of Calcium per day to keep your bones strong. 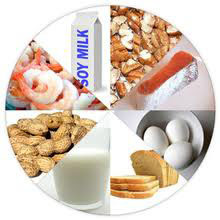 Food Sensitivity Testing: If you are allergic to a food, it can cause acne and other rashes. You can get blood work to determine whether you have food sensitivities. If you test allergic to any foods, then avoid the food and your acne should improve. Since insurance often does not cover this type of testing, you can also do an elimination diet. Elimination Diet. If you do not get tested for food sensitivity, the other way is to determine if foods are causing your acne is to do a special diet that is free of foods people tend to be allergic to. If, after being on the diet for three weeks, the acne is improved, then, you add back one food at a time to see which foods you react to. This takes more time, but does not cost anything. We educate patients on elimination diets, test hormone levels and food sensitivities and use prescription skin care to give optimum results for acne treatment.